The dictionary defines metallurgy as “the science that explains methods of refining and extracting metals from their ores and preparing them.” Today, the subject of metallurgy digs deeper into the heart of metals then that definition describes. Metallurgy is now more than examining the refinement and extraction of metals from their ores. Metallurgy is the science that explains the properties, behaviors and internal structure of metals. Metallurgy also teaches us that properties of metals can be changed using various treatments. This allows us to tailor a metal’s properties to its specific use. Metallurgy involves all metals, Ferrous Metallurgy is the study of metals that use iron as their basic ingredient. Nonferrous Metallurgy is the study of metals that do not use iron as a principal alloying element (such as aluminum, titanium and copper). Thank you very much for this post. It really helped me to understand the basic concept of metallurgy. am studying b.tech 3rd in materials and metallurgical engineering. I really scare about my future. can u please suggest me which companies will provide internships for metallurgists…. Assuming that you are from India, I would suggest you to apply for internship at companies like TATA Steel, JSW, Vedanta, Mecon, Bhushan Steel, Godrej etc. Plenty of opportunities for a Metallurgist in both public and private sector. The demand is actually more than the supply of metallurgists. However please note that female candidates rarely get a job in core sections of an industry. Because it’s totally field work.The companies r not ready to give these jobs to females.We can go for Research side. please develop the site more and send career options ,job opportunities and further details also………. We are trying are best to upload the contents as soon as possible. 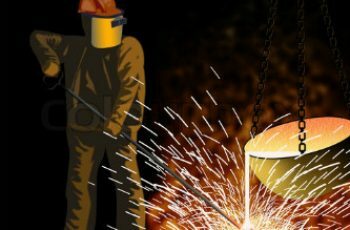 Also we will be posting about career options in Metallurgy very soon. The Metallurgical and Materials Engineering industry is broad based, and forms an essential part of the country s infrastructure and export potential. As well as the established metals industry, there is an expanding market for the “new” materials – composites, ceramics and polymers. This is driven partly by the increasing sophistication of industry and partly be the desire to add the greatest possible value to metallurgical products before export. Qualified metallurgists and materials engineers are employed in industry, commerce and government. Industrial careers range across the mining, atomic energy, petrochemical and steel industries. Metallurgical graduates are found in car and aircraft manufacture, defence and many light engineering industries. Clearly, many of the posts involve, or can lead to, a career in management. Additionally, there are many positions for metallurgists and material scientists in research laboratories, whether government, industry or university based. Here, their function is to improve on existing properties and fabrication processes, and to explore new materials. Exciting career opportunities that have recently developed is that of Financial and Asset Management Engineering in the Metallurgical sector, Sales Engineering, Procurement Engineering and Quality-control Engineering. These all require a solid training in metallurgy and materials engineering. The Metallurgy and Materials Engineer is involved in the extraction of metals, the study of their physical properties, the production of alloys, the fabrication and shaping of metals. 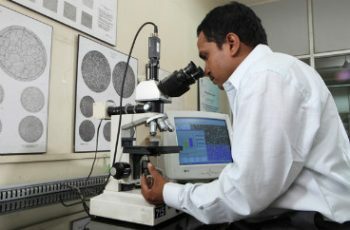 Today, in order to meet the ever-increasing sophistication of the needs of industry, this engineer makes use of sophisticated skills, from computerised process control to fundamentals of physical chemistry to create the raw materials for a wide range of manufacturing enterprises. The demand for metallurgy and materials engineering graduates is high, both in India and internationally. In the words of the Scientific Advisor to the President of the United States, “the most important field in science and engineering today is [the study of] metals and materials”. The demand for qualified engineers in the metals and minerals industry will be high as India enters into a manufacturing era using her own resources. Graduates in Metallurgy and Materials Engineering will enter one of the potentially most rewarding sectors of industry. The urgent need to expand the industrial base of India, in order to provide a higher standard of living for all Indians, will ensure that the demand for metallurgical graduates continues to grow. The future will provide greater and more challenging opportunities for technological and management careers. A career in metallurgical engineering will be both secure and rewarding. Metallurgy has awesome scope in both India and abroad. Metallurgy involves thermodynamics, physical chemistry, fluid mechanics, heat transfer, extraction process,and solid mechanics. (Stress-strain-fracture) etc, Iron and steel makin, etc. Which type of railway jobs? What are the best job opportunities for females in the field of metallurgy and materials Engineering? Plenty of opportunities for a Metallurgist in both public and private sector. However please note that female candidates rarely get a job in core sections of an industry. You can also go for a post graduation course and then commit to research or teaching profession. I am from China,and I am also a graduate of metallurgical engineering and I like programming too! Wish to communicate with you later! I want to take a MME branch in iiit college. What about your suggestions and how is job opportunites for this branch? Please tell me as early as possible. Thank u. I waiting for your message. Where we have more intenship projects in metullurgical and materials engineering and what are the best companies for MME branch. sir, could you please keep the metallurgical engineering gate question papers and answers of previous exams..
What are the new developments in Heat treatment of steels. I wanna do major PROEJECT on this. I am studying B.Tech final year in metallurgical and materials engineering so i need to do project. could you please suggest me which type of project will help me in future? Sir,could u please keep the previous exam papers in this site..
Hello, I am pursuing my B.Tech degree from NIT Jaipur in metallurgical and materials engineering. So please can you suggest good companies for summer internship. Sir Iam Studying B.Tech 3 rd year from IIIT in Metallurgical and Material Engineering.I want improve my knowledge by Practically.So please can you suggest good companies for summer internship. Metallurgy is a broad way to shape our career. But due to lack of information about the companies providing the internships and also the companies recruiting is leading to great disappointment for both those who are pursuing and also future metallurgists. Any information regarding workshops,seminars,techfests for metallurgy should be updated in this by anyone. Attempting GATE is best thing for a metallurgist right? i am pursuing b.tech 2nd year in material science and metallugical engineering…i want to do a intership in any place of india in summer vacation..
so could you please help me to find out?